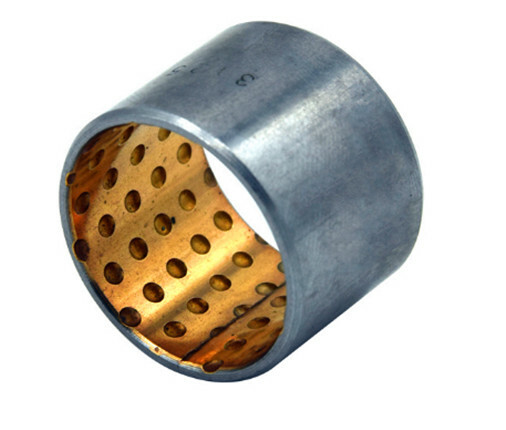 BIMETAL BEARINGS Normal cylindrical bushes, grooves, oil holes, slots, etc. 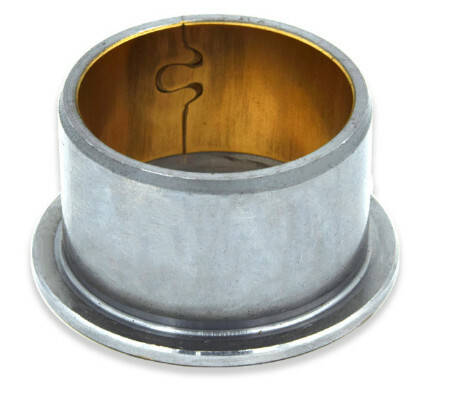 Bimetal bearings are able to handle heavy loads and shock loading conditions. 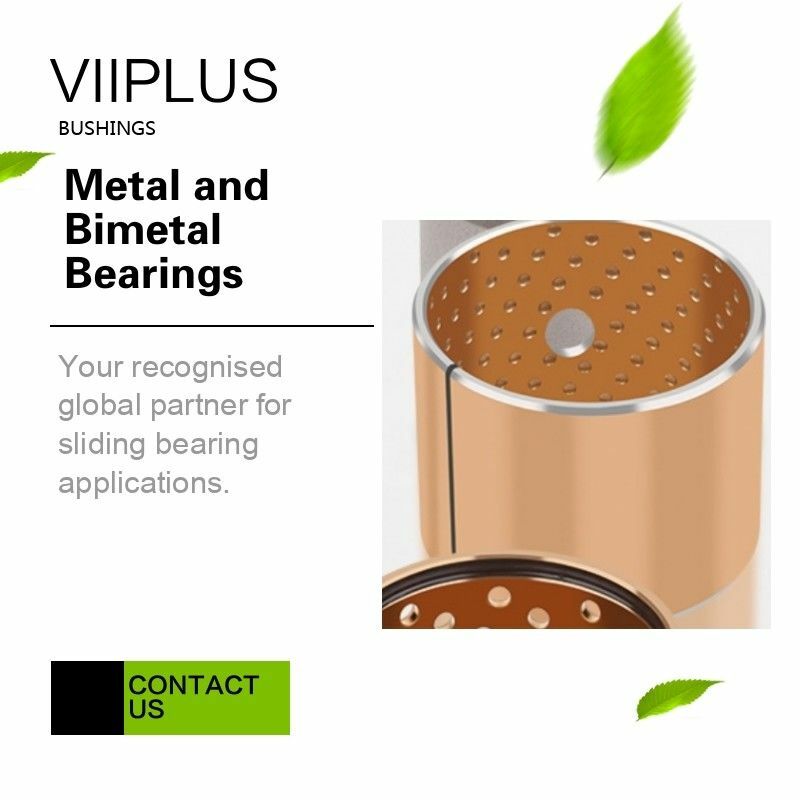 Our bimetal bearings have anti-corrosion capabilities and are easy to install, making them ideal for emergency replacements.VIIPLUS is available with stainless steel, carbon steel or bronze backing. 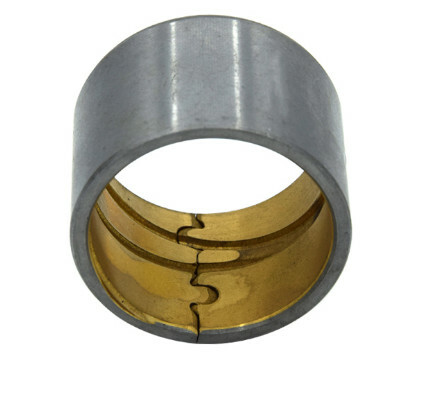 This is a bimetal bearing material in which aluminum alloy and copper alloy comprise a two- or three-layer structure with a steel backing. This structure, whose mechanical strength is high, can be used under lubricated conditions and high-speed/high-load operation. It can be made from a variety of different materials, depending on the application, use conditions and lubrication. 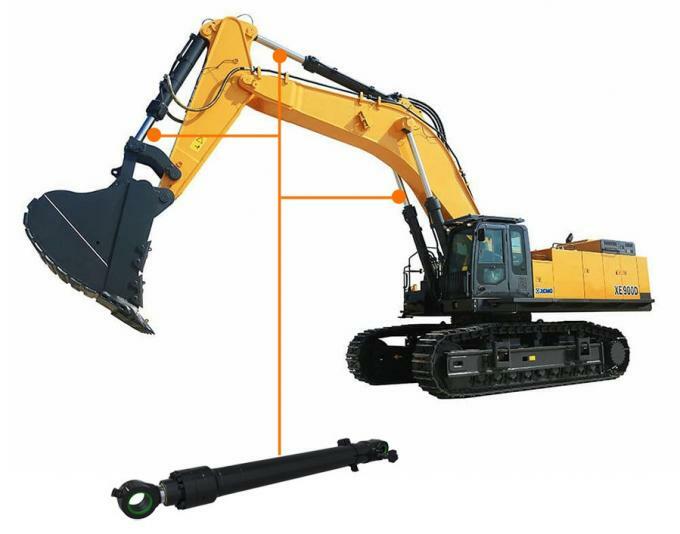 Load capability can be improved by oil holes, grooves, etc., depending on lubrication conditions. In some cases, a dry bearing can also be used under lubricated conditions. 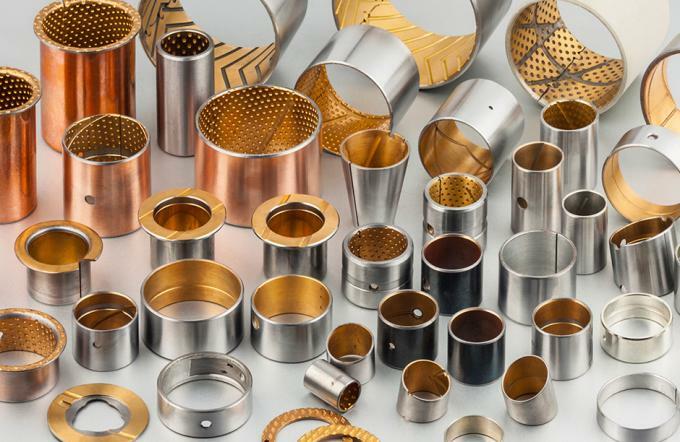 Viiplus offers a broad range of sizes, forms and materials in monometallic and bimetallic bearings. Bimetaland metal bearings offer excellent corrosion resistance in industrial outdoor applications and in water, marine and offshore environments. What is Bimetal Bearings & Bushings? Bmetallic bearing is one of the bearing lubrication system, the product is high quality low carbon steel back as substrate, the bronze alloy on the surface, through several high temperature sintering and density and rolled copper and steel bimetallic strip coiling, suitable for medium and high impact load under bush and thrust washer and so on many kinds of USES. 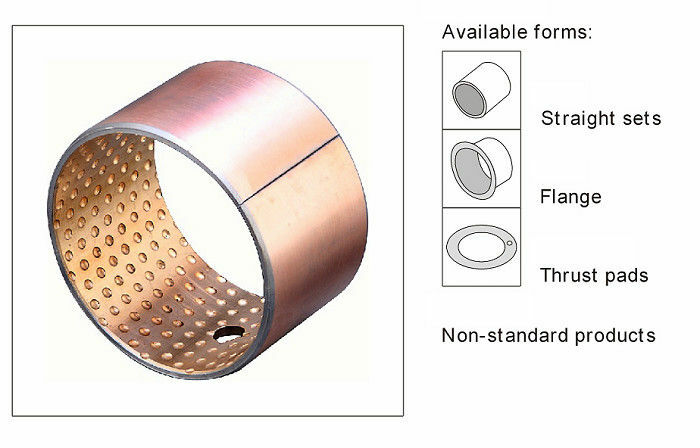 Bimetal Bearing Bushings are composed of two metal strips, in two different materials; The first is normally in steel / bronze / stainless steel backed with low friction and excellent wear resistance. Steel backing gives exceptional high load carrying capacity, excellent heat dissipation. Sintered bronze powder gives good wear resistance and excellent load carrying capacity . Copper plating has good corrosion resistance. widely used in automotive, common industrial like steering gear , power steering, pedal bushes, king-pin bushes, tailgate pivots, mechanical handling, lifting equipment, hydraulic motors, agricultural machines, etc.